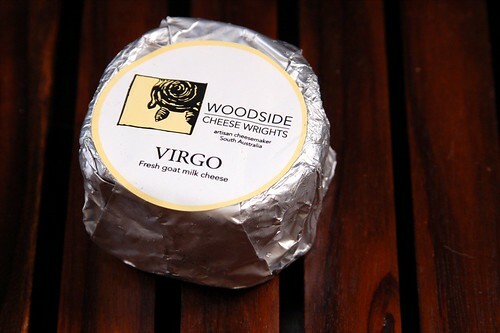 Based in the Adelaide Hills (in South Australia) Woodside Cheese Wrights was started in 1994 by Paula Jenkin and subsequently purchased in 1998 by Coriole Vineyards. 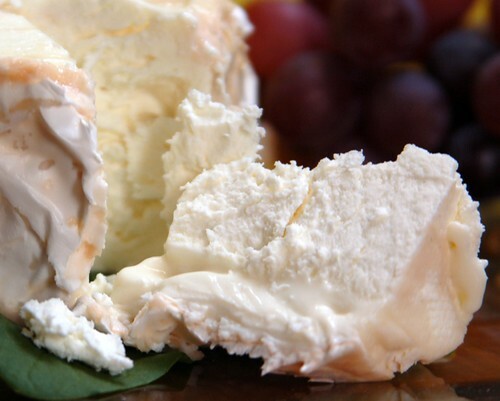 They produce both cow and goat milk cheese that are hand made and free from artificial preservatives or stabilisers. Batch Pasteurisation is used which is a slower pasteurisation method - it's said to be more gentle on the milk structure and results in the retention of the seasonal variances of the milk. 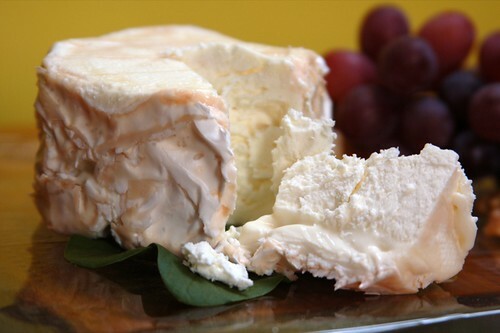 The cheese is extremely soft, almost fragile - there's a very light, white mould that continues to develop as the cheese ages. Next to the rind sits an almost runny layer, the cheese becomes firmer but retains a curd like appearance as you move to the centre. This does have a pronounced goat cheese tang - it's sharp but the flavours are quite clean. 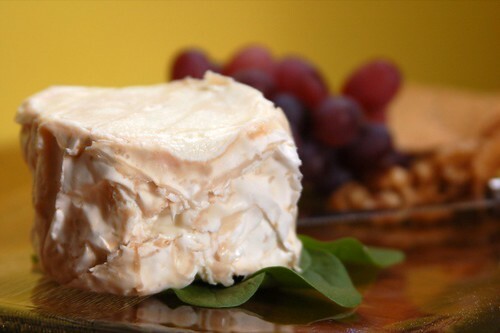 It's exceptionally moist and very creamy in the mouth with low acid levels. Compared to the Holy Goat Mature Veloute it's much more stronger in flavour - not a cheese to start with if you are a goat cheese beginner.